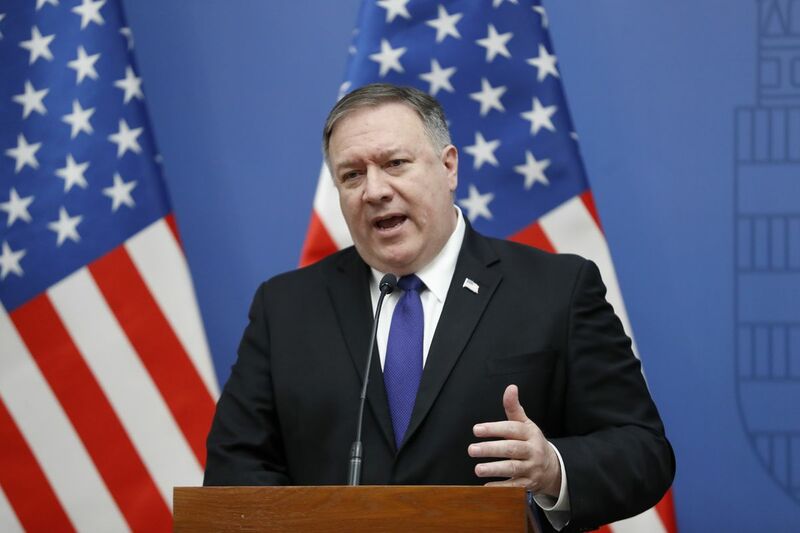 Secretary of State Mike Pompeo in Hungary on February 11, 2019. A former US Air Force intelligence specialist has been accused of spying for Iran. On Wednesday, federal prosecutors charged Monica Elfriede Witt, a 39-year-old former counterintelligence agent, with delivering classified defense information to the Iranian government. She was also charged with revealing information about her former colleagues so they could be targeted by Iranian intelligence. Witt defected to Iran in 2013, according to prosecutors, and is presumably still living there. Four Iranian hackers who were also charged in the indictment reportedly targeted Witt’s co-workers in the US intelligence community with malware in order to gain access to their system. Prosecutors say they were working on behalf of Iran’s Revolutionary Guard, an elite military and security force that the US has targeted with sanctions. The charges against Witt and the hackers accompany a ramping up of sanctions on Iranian individuals and organizations ahead of a US-led conference in Warsaw, Poland, focused on Iran. The US also imposed sanctions on the firm they worked for, Net Peygard Samavat Company, along with a group that organized conferences that recruited foreign attendees, which the US alleges helped support Iran’s Revolutionary Guard by collecting intelligence and information on individuals. European allies — many of whom disagreed with the US’s decision to leave the Iran nuclear deal last year — are only sending low-level diplomats to the summit, while the US is sending its bigwigs, Secretary of State Mike Pompeo and Vice President Mike Pence.